In August 2013 I imported my first mainland Spainish wine! Yipee! At last! Spain has been at the forefront of production from the smaller vineyard of some outrageously good wines in the last few years so it was about time Mr Whirly got involved! 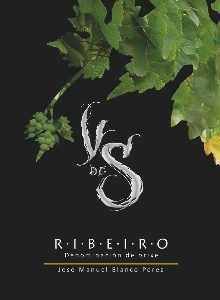 So here we have it, my first wine and from the very north-west of the country, the very fashionable region of Ribeiro. 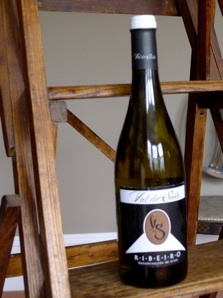 I have an admission here, I have yet to visit the vineyard, being that I simply have not had time yet, but the Owners of “ Val de Souto” invited me to get take a look at their wine and once I had done this I couldn’t refuse the invitation. I shall be on way out there in the Autumn. This wine is made by Jose manuel Blanco Perez and its a combination of Triexadura; Godello and Loneira. Once tasted I simply had to have it since it was such an easy wine to drink: lovely fruit, not too overpowering though and a relly intense yet suble mounthfeel.